One of the cool things about living at the beach is how many interesting and varied people that you meet. 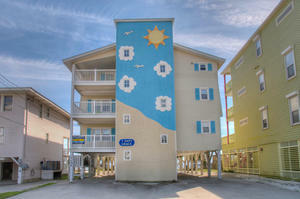 Being a tourist destination and a retirement mecca the Grand Strand has people from all walks of life and backgrounds. One of the most interesting characters I’ve met is Vern Green. Vern owns and operates The Old Golf Store in North Myrtle Beach. Vern is originally from Decatur, Illinois and moved to the beach in 1984 for a change of climate. He spent 25 years as a home builder. He has been married to his lovely wife Paulette for 25 years and together they have five children Mike, Matt, Mark, Laura, and Troy. Paulette was a school teacher before relocating to the beach. Vern opened The Old Golf Store because he always had a passion for the game and what better place to be involved in golf than Myrtle Beach. In 1984 he joined the Hickory Hackers, a golf collector’s society. The Old Golf Store has over 10,000 clubs from all eras as well as golf balls and other golf accessories. Vern’s favorite person he has ever met is Jimmy D’Angelo who is known as “The Godfather of Golf’ in Myrtle Beach. Mr. D’Angelo was the first professional at the historic Pine Lakes Country Club. Vern and Paulette love to travel and have just about been everywhere. Some of Vern’s travels include his military service in World War II. He enlisted in the U.S. Navy in 1943 and served as a landing ship flagman and quartermaster. His military travel included Iwo Jima and Okinawa. 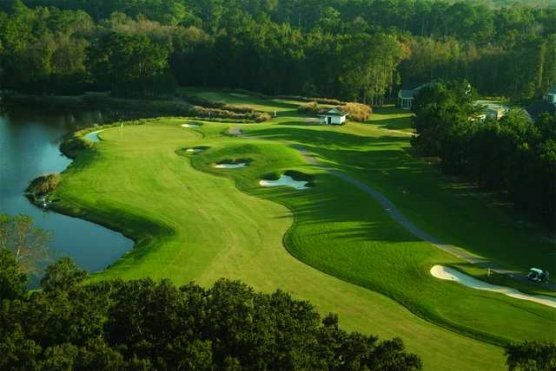 When asked which Myrtle Beach golf course is his favorite , Vern replied that he liked them all. He lists the Chicago Bulls as his favorite sports team. Both Paulette and Vern list their favorite places to dine in Myrtle Beach as California Dreaming, Bonefish , and Mick and Mikes Sports Bar and Grill. Paulette says about Vern that he is intelligent, impatient, has a great sense of humor, and half insane. While visiting the Grand Strand I would highly recommend that you stop into The Old Golf Store and visiting with this very interesting man. The Old Golf Store is located at 3602 Hwy 17 S - North Myrtle Bch, SC 29582.